Want free photos? Need free photos? Love free photos? 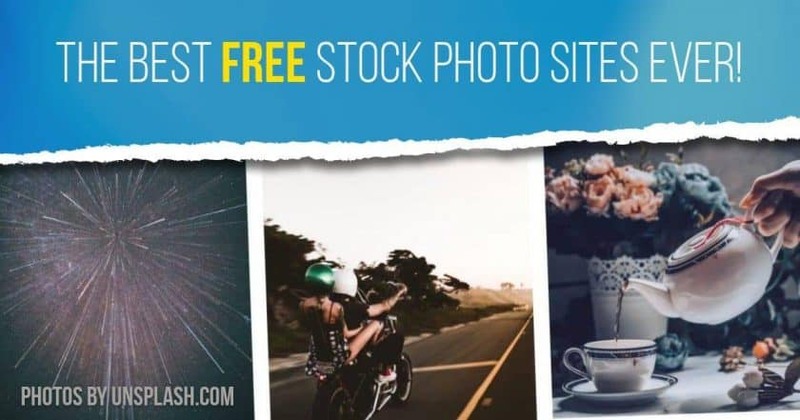 Come and join us as we go through this megalith of a list of the best free stock photo sites dotted around the web plus a comprehensive guide for using free stock photos safely! 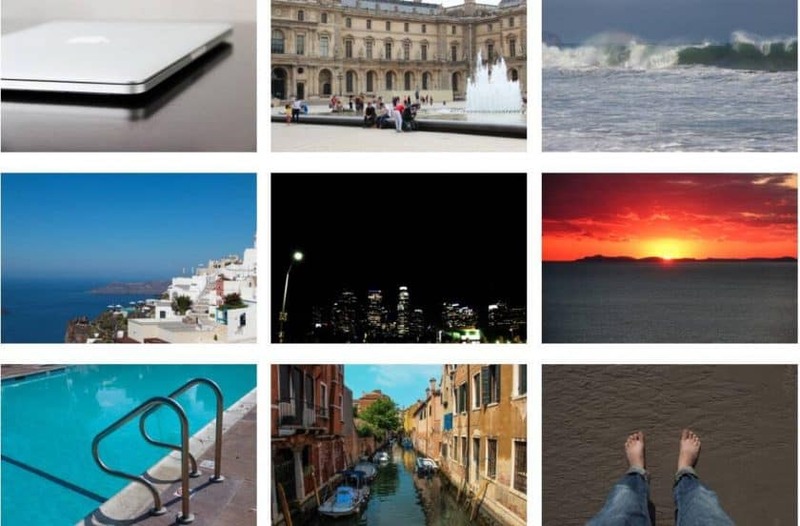 This is not your average free photo sites list. Oh, no. This is the very best and most awesome free stock photo sites list EVER. Because we thought of everything that matters in free stock photos sites… and that is not just how nice the images are! Our team put free photo sites under the microscope, analysing the image quality, the licensing type, the background and the legal safety of each of them to pick only the ones worthy of our recommendation. But first, we address some very important matters about free stock photo websites, licensing terms and more. Wanna jump right on to the list? Go ahead! But don't forget to come back and have a good read at our guide to use free stock photos safely! As the expression goes, nothing beats free. This is as true for stock photography sites as it is for any other case. Website designers, graphic designers, marketing creatives, bloggers, visual artists, business owners, non-profit organizations… when they (and you) need high-resolution images but can't pay for them, it's only logical to try and get them for free. Even when you can afford paid royalty-free stock photos, it's hard to resist a free deal. But the truth is the ways to get yourself some cool pictures without paying are more dangerous than you imagine, legally-wise, especially if you're intending to use them in commercial endeavours. When looking for free photos online, the common man’s first thought would be a Google search. Mistake! Google is merely an aggregator that displays images available on the web, they do not own the copyright of any of them so they are in no power to grant you their use. 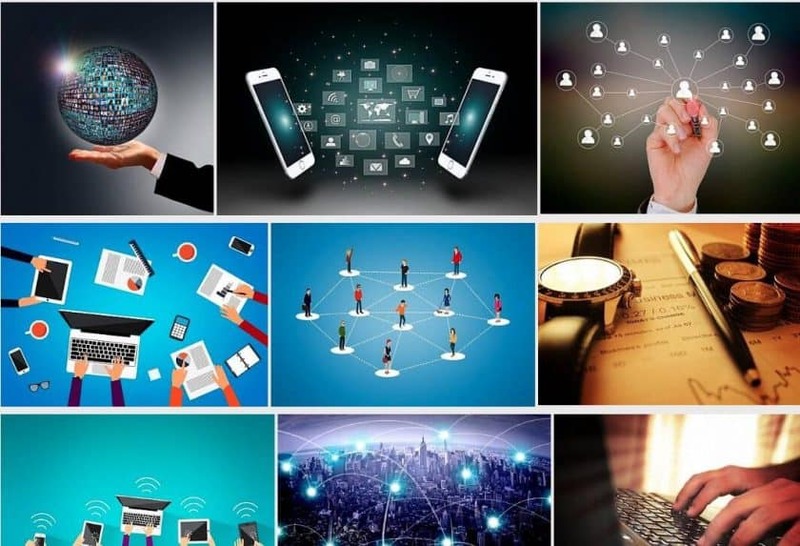 Moreover, when you run a Google image search most of the first results are paid ads by pro stock photography sites, or otherwise photos under licenses forbidding free use. So this quick and dirty method for free photos can lead to all sorts of problems down the line, including possible litigation. You can read more about the tragedies that can occur in our article explaining 5 dangers of using Google Images without permission. There are those that know that if it sounds too good to be true it normally is, and will resort to the first free stock photo download site that pops up on their screen. These are apparently harmless, as photos are licensed and everything in them screams they're good to use. And that's the catch: appearance is one thing, the reality is another. Free photos from dedicated sites are certainly waived for free usage under a form of Creative Commons, Public Domain or similar license. But that is not enough to make them safe to use in commercial work. If no one checks the images' legal background and there's any irregularity… then guess what: you'll be in trouble just as if you had right-click downloaded a photo from Google images. An easy way to eliminate that risk right now? Go for cheap, professional Royalty-free stock images! In our Stock Photo Secrets Shop, you'll find the friendliest prices for small and medium budgets in monthly and yearly plans as well as image packs, not to mention our unbeatable 99club deal! If you like options, you can check out our massive list of the Best Stock Photo Sites with 20 options in stock photo agencies! 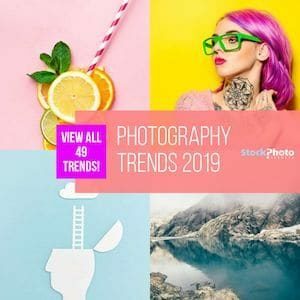 If you are ready to purchase – go check out our guide where to buy stock photos, but not before reviewing the top 10 most downloaded images in 2018 from top stock photo agencies to help you know what kind of photos you should definitely buy! Check out our guide for the best medical stock photo agencies as well. If you've never used stock photos before, make sure to read our beginners guide to Royalty-free stock photos from beginning to end! 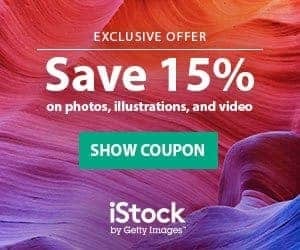 We also have several rebates and exclusive coupon codes like our Shutterstock coupon code or this iStock promo code here. Most websites offering free Royalty-Free stock photos work with Creative Commons (commonly represented by its stands, CC), a non-profit organization that developed various licensing agreements for intellectual property that allow artists –including photographers and graphic designers– to make their work available for others to use, free of charge, but with regulations. Creative Commons licenses are legal contracts for which artists authorize the free use of their work under particular terms and end-users to agree to respect those terms. There are six variants of Creative Commons license. Creative Commons Zero (CC0 for short) is one of the most popular and widely used by free stock photo websites because it's the one with fewer copyright restrictions. The other CC contracts have various degrees of limitations. Some are only for non-commercial purposes, others require credit the artist and/or linking back to them in online uses, for example. Despite restrictions or lack thereof, CC photos are basically Royalty-free images that come at no cost but you're using them with permission from the owner. We told you above that CC photos can still get you in trouble. The reason for that is very simple, but not so clear at first glance. If there's a Creative Commons license agreement in place, that means you've been given the authorization to use the photos in your work… right? Well, not necessarily. And that's the problem. That's the risk in Creative Commons license: you must be absolutely sure who submitted it is the legal owner, and that all models have released their likeness. Else you risk facing multiple legal and financial woes. The license is only valid when the legal copyright owner grants it. Most free photo websites are middlemen who let users submit pictures and tend to run on the low-maintenance end, meaning they don't police or verify submissions. Nothing stops random users uploading photos they don't own, so you might very well end up with a photo which license is invalid. There's more. Every person is legally the owner of their own likeness. So photos depicting recognizable people must include a legal rights-waiving document (known as “model release”) where the persons portrayed agree to have their image used. This same principle applies to private property, which includes brands, logos, trademarked designs, and even some famous landmarks and buildings. Should the photo you chose not have these releases in place, you would be infringing on various people's rights. Once you use a photo, you're legally responsible, so the legal status of a free use license is even more critical when you are using photos for commercial purposes. The fact you will potentially profit from said use deepens the degree of the offense and affected parties are more likely to pursue rectifications and compensation. That got us all thinking: does this mean all of you who cannot afford paid –yet very economic– stock photos right now are left with only risky and risky as your only available options? Just how many good free sites are there out there on the internet? So after a bit of debate and a rallying of the troops, we went on the hunt for the safest free stock photo sites that work for not only personal use but that all-important commercial market too. 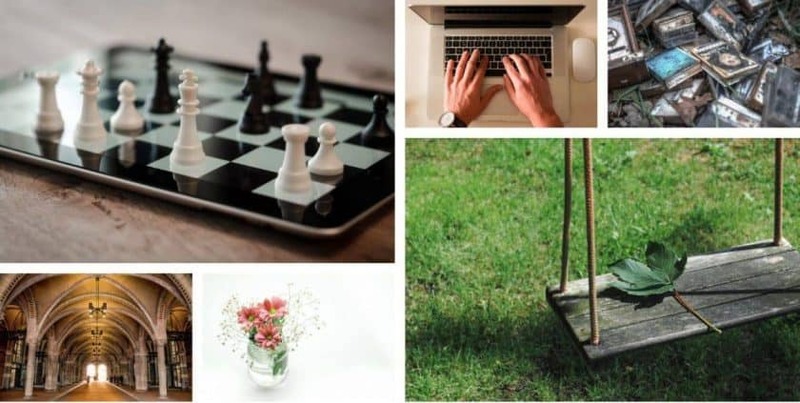 The following are our pick of 27 websites where you can find high quality, royalty-free, free stock photos that are relatively safe to use in commercial work. These photos would look great in website designs, banners, adverts, social media posts, blog posts, publications, and various projects for non-commercial purposes! Most of them feed new photos into their libraries constantly, so you likely won't be short of new images to complete your designs. We are not saying these sites have 100% risk-free images. What we say is theirs are safer than the rest. Be it due to better policing, known copyright owners, review processes or serious business backgrounds, the following offers in free images have a higher trust degree, and that's why we chose them. Now that's cleared, dive into our massive list of the best free stock photo sites! Pixabay is a free stock photo site founded by computer technology experts Hans Braxmeier and Simon Steinberger. 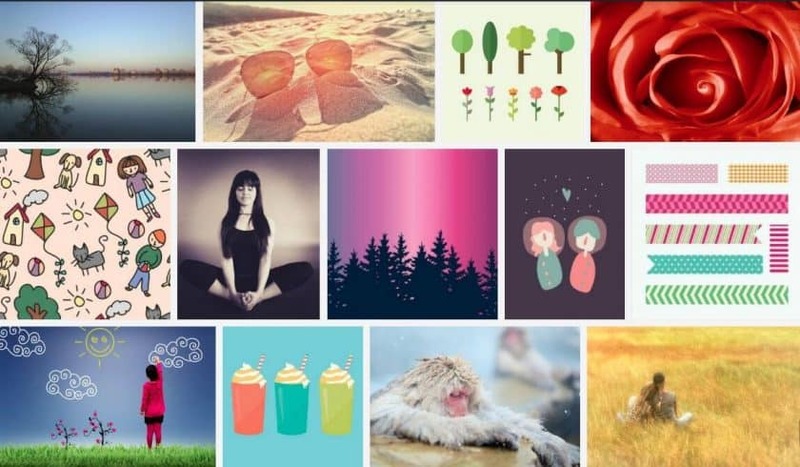 Crowdsourced from Internet users around the world, their huge and very varied library of royalty-free images ascends to over 1 million files and counting, and they're all available for free download, and most of them are of high definition, suitable for professional use. While they accept submissions from anyone, they have a professional curator (a photographer and image editor) that manually reviews and ok-go's or vets submitted images as much for technical quality as for legal validity. License Details: They use Creative Commons Zero (CC0) – Free usage for commercial purposes, no attribution required. This site combines high-quality images with German-like, sleek functionality for users. It adds community features as well as a blog. Hard to find something! But the user-submission system is not our favourite in terms of safe licensing practices for free photos. Relying on user submissions and CC license is not the safest practice per se, but Pixabay handles it wonderfully by professionally reviewing all images. Add how serious the site and the owners are, and you end up free images that are safer than many others. 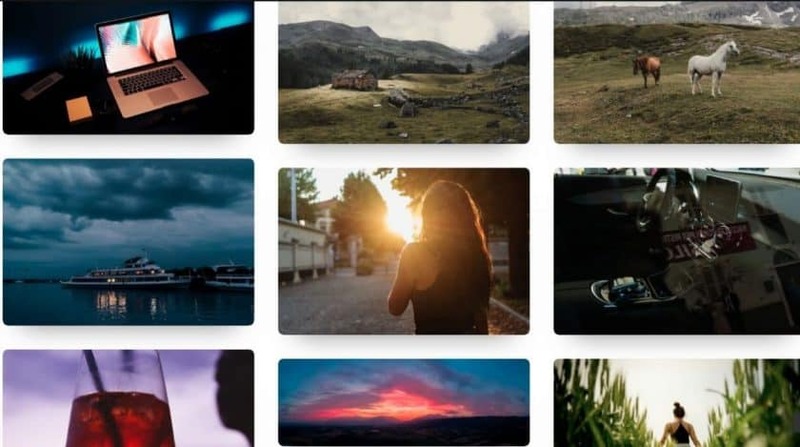 Unsplash is a give-back, side project turned into an unexpectedly big hit by Crew, an online platform connecting freelance creatives with customers. 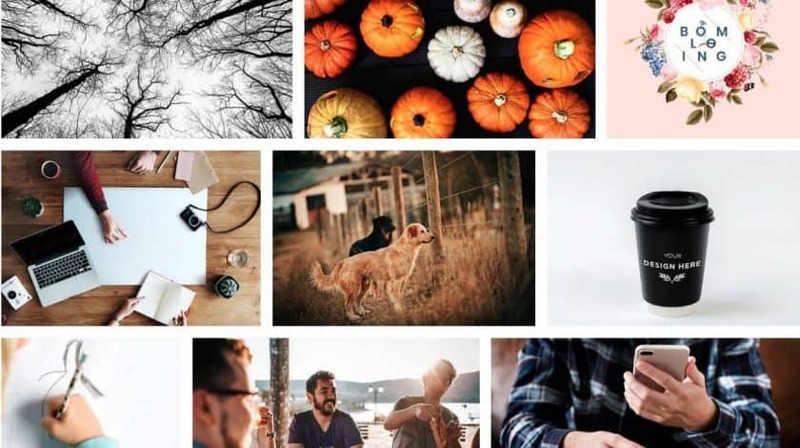 They started it as a Tumblr blog offering leftover professional shots from an in-house production for free download, and it escalated to a stand-alone site hosting over half a million royalty-free stock photos from contributing artists — who get their own portfolios pages–, all free. License Details: They have their own custom license, enabling free use in commercial projects with no attribution required (just like a Creative Commons Zero) but forbidding image compiling. 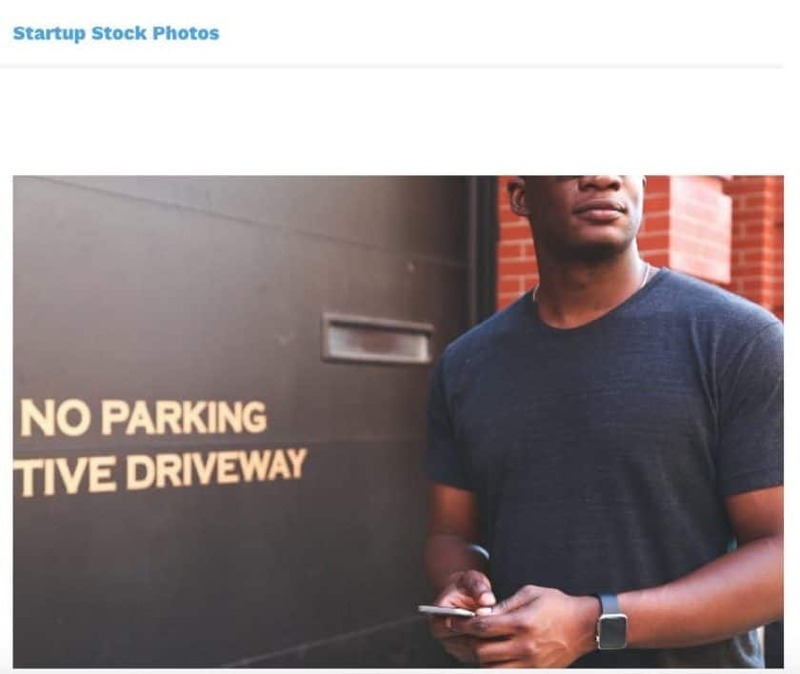 Yes, these are crowdsourced images, but the online portfolios and huge popularity of Unsplash mean it's a display window for photographers, making the chance they submit fraudulent content more unlikely. The custom license adds a little extra safety, but the fact the site is so successful and so relevant for its owners is what ensures they take image licensing seriously. PikWizard is a very pro-style free stock photo site, full of high-quality images portraying multiple popular topics. 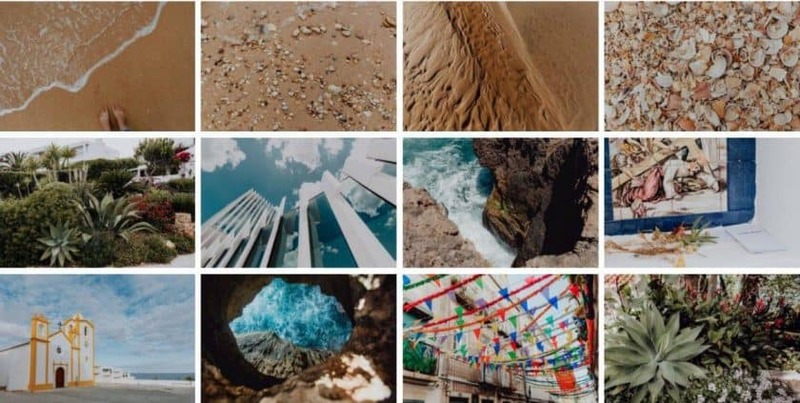 It's owned by Wavebreak Media, a stock video and photography production company lead by Irish videographer and entrepreneur Sean Prior. Their hundreds of thousands of images come from various contributors, most of whom are known stock media producers. And they're all for free. The balanced mix of artistic and commercial styled imagery, and the cool extra function: quick on-page image editing with DesignWizard tool, which we think is one of the best free tools to add text to images. 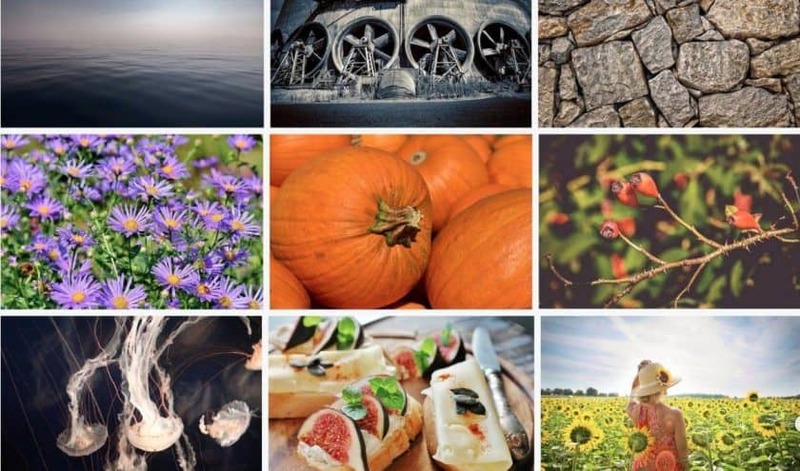 This is the free-stock-photo heaven: high-quality photos taken and submitted by professional photographers who understand licensing, offered and managed by a successful stock media company, with its own custom license for free use. Of course, you must still double check before using, but PikWizard is as reliable as it gets. 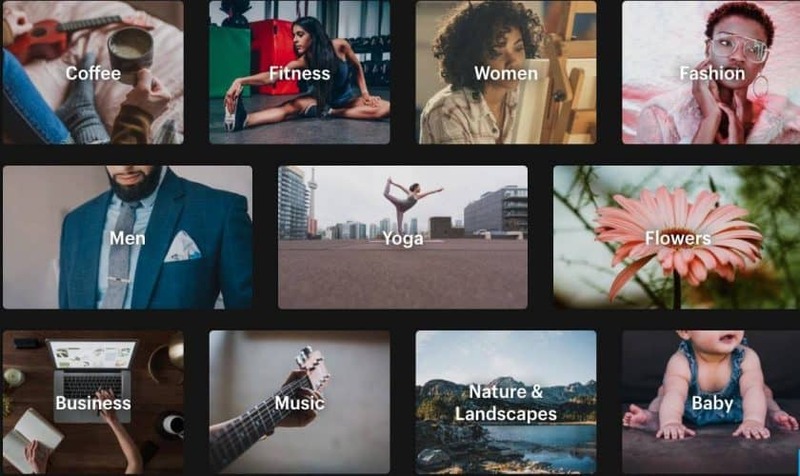 The brainchild of German technology-oriented twin brothers with Bruno and Ingo Joseph, Pexels is a free stock photo aggregator offering hundreds of thousands of royalty-free stock images in high resolution submitted by artists or added from other free photo sites. The catalogue is very rich and all images are free to download and use. License Details: Their photos are under Creative Commons Zero (CC0) – Free usage for commercial purposes, no attribution required. The beautiful and super current imagery, the neat and super pro site, the fact they have a dedicated free videos version, and the cool add-ons: apps and a Photoshop plugin. Pexels is a very serious site with a lot of work involved in its creation and maintenance. The owners clearly know their thing. However, the aggregator factor means the source for the images is not always that clear and the use of CC0 in this context is not the safest practice. Life of Pix is owned by Canadian digital marketing agency LEEROY, and provides hundreds of thousands of very artsy and high-quality photos covering a variety of popular themes. All files have been submitted by photographers, and are totally free to download and use. Public Domain license should be theoretically safer for commercial use since there's no copyright attached to the images. But as we said, that only works if who donated them is the original copyright owner and all other needed rights (model releases for example) are cleared. That said, Life of Pix being owned by a serious company is capable of providing some much-needed trustworthiness in free images. Graphic and web designer Ryan McGuire is the owner of Gratisography, a site where he offers a collection of nearly 500 high-res photos of his own authorship, for free. The photos are very intimate and unique, far from the typical commercial stock, and of high quality. Albeit modest, Gratisography collection is legally much safer than others because the copyright owner of the photos is the one offering them on his own dedicated site. You must take Ryan's advise on double checking when extra rights need to be cleared. But it's not so hard to do as you can contact McGuire on this site. Photographer Daniel Nanesou is behind SplitShire, a website where he displays around a thousand artistic and very professional styled photos from his personal archive, spanning various current themes, that you can download and use in your work free of charge. Legally speaking, SplitShire photos are very safe: they're created by a professional photographer (who knows how licensing works), are offered under his own custom license, and as you know he's the copyright owner you have a direct way of addressing extra rights requirements. A well-rounded deal in free images. 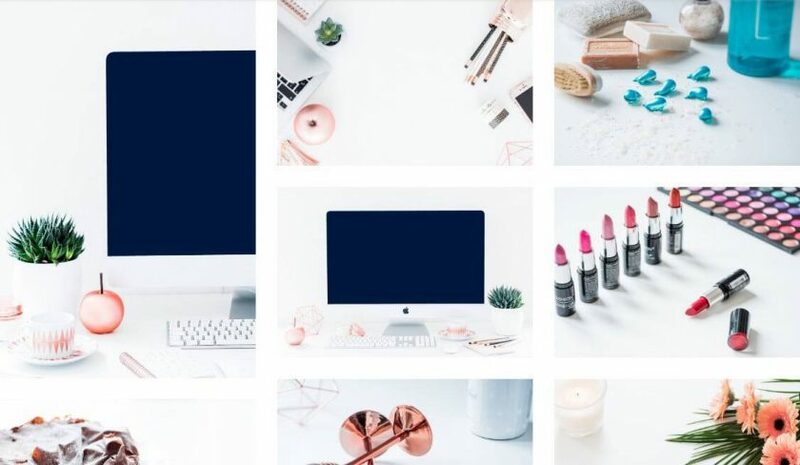 E-commerce platform Shopify developed Burst in 2017, to offer free royalty free stock images intended for e-shops and commercial use in general (though you can use them for anything, like social media or a blog post, too). They have a big library with thousands of high-resolution images with a very current style covering popular commercial topics like lifestyle, fashion, technology, etc. Sourced from hired photographers and user submissions, all these images are free to use, be it within Shopify or anywhere else. License Details: There are two licenses: 1. Creative Commons Zero (CC0) – Free usage for commercial purposes. 2. Custom license, pretty much identical to CC0, which allows using photos in products for resale and has a sensitive use clause. Besides a no compiling term, there are no other copyright restrictions. While we're not fans of Creative Commons license, it's undeniable that Burst photos are pretty safe to use: from being powered by Shopify to the fact its sole reason is to provide images for commercial use, going through the commission-created images, legal safety is not a major concern here. Founded by Robert Churchill, Rawpixel website bring on thousands of unconventional, authentic and high-quality images for creatives, sourced from qualified contributors. Limited to 100 downloads per user per month, you can get your pick from this rich and varied collection for free, that adds to Rawpixel's premium royalty-free photos service. Being a proper stock image site selling Royalty-Free stock photos, it's clear they know what they're doing. The license is custom, and as they review all submissions, it's very likely all rights are properly cleared and legal safety is high. 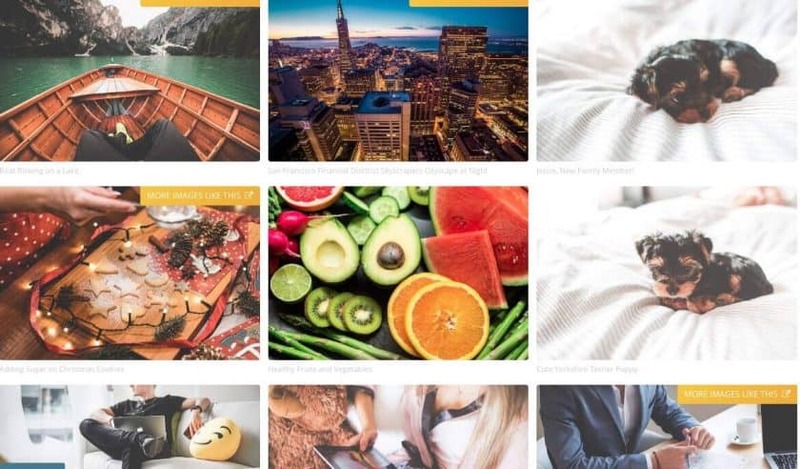 Libreshot is a must-know in free stock photo websites, as this one offers thousands of fine art photos by SEO consultant and photographer Martin Vorel. His images are of very good quality and cover various subjects too. And they're all made available to use for free. If you were looking for artistic high-res photos, you'll love Libreshot because you're as safe as you can be here: for one, all photos are owned by the man who licenses them for free. And then, most of the images do not include recognizable people, brands or trademarked content. So you'll be mostly all good. 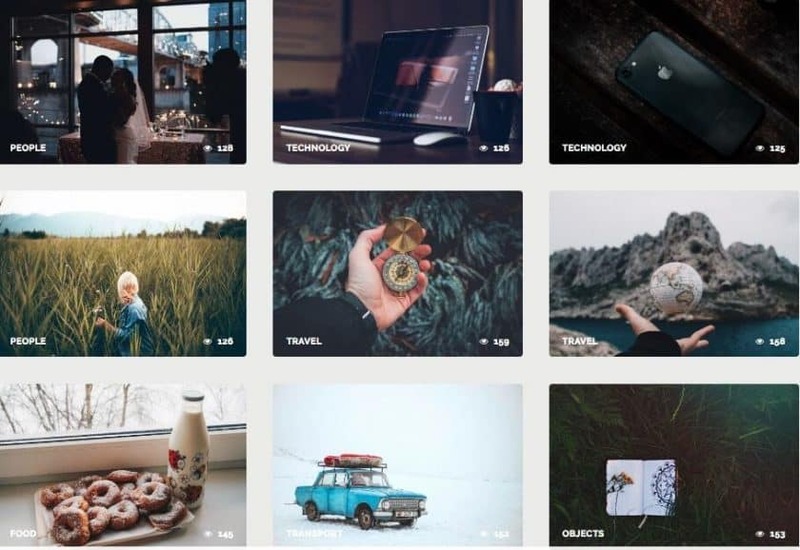 A website created by stock photographer Viktor Hanacek, PicJumbo is the perfect place to find high-quality, commercial-ready, royalty-free stock images for free. This site hosts over 2000 images by Hanacek, covering multiple popular themes, all completely free. People in the images are purposefully unrecognizable, but still present. Trust a stock photographer to provide the right kind of free photos! PicJumbo is a great source for images for commercial use, not only for their quality but also for their legal safety: all licensed by its owner and minimising risks with the lack of brands or recognizable models, these are CC license images you can trust. Designer and photographer Karolina Grabowska is the mind and talent behind Kaboompics, a site providing free high-quality stock photos with a natural feel and multiple subjects. All the over 8000 images available are hers, and they're all free. If you cater to young audiences, work with social media and you need free images, Kaboompics is your new best friend. Grabowska provides everything you need for free, and her custom license and full ownership of the images adds that very desirable trustworthy stamp. Rgbstock is a website giving away over 100,000 stock photos for free. It’s a 2010 creation of a group of amateur photographers and graphic artists, lead by Jay Simmons, who know their way around image licensing. The library –built on the base of files submitted by users that are reviewed for quality standards– spans across multiple popular and evergreen topics, mixing artsy shots with more commercial pictures. License Details: They have a custom license that grants free usage for commercial work, and restrictions similar to royalty-free images: a sensitive use clause and a prohibition to use photos in products for resale. They warn about the requirement for model releases and other important legal stuff, but they disclaim it’s up to you to check for them. 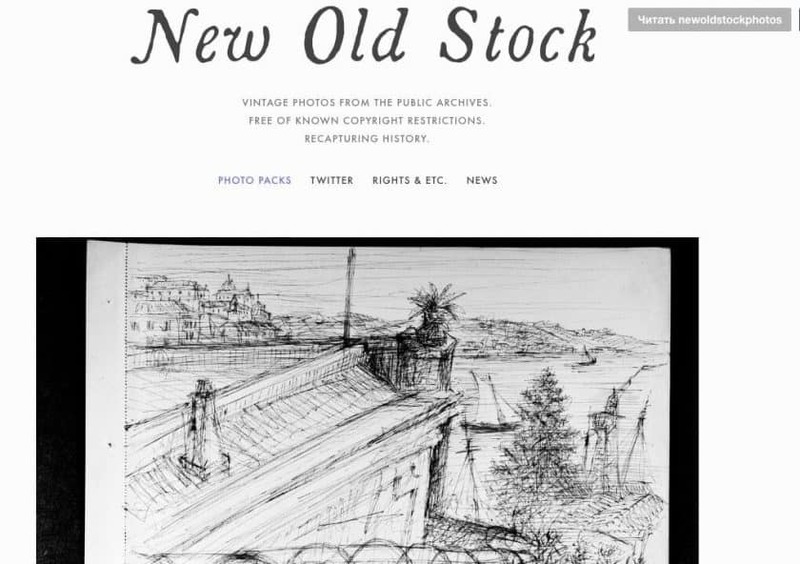 Rgbstock has been around for a long time, it’s managed by people who know the industry, and has very useful photos available. Their custom license is safer than a generic one, and while it’s true that user submissions are not the safest practice, having a way to communicate with each copyright owner directly makes everything not only easier but also more legitimate. Good Stock Photos is a website that offers over 1000 high-quality photos totally free to download and use. They’re all shot and owned by Steven Ma, a web designer and marketer who is also the founder of his own design firm, SparkFlow. While totally suitable for commercial use, the collection has a strong editorial influence, with a mix of everyday life situations, social media-inspired shots, travel and landscapes, urban scenes, and more. License Details: He uses a custom license that grants free usage in commercial projects, only restricting the selling of the photo as-is, uncrediting compiling and/or redistributing. There’s an interesting mix of topics, styles and perspectives. It makes for a good source of photos for a blog post! Good Stock Photos is exactly what its name promises. The small library is full of very good shots, even if not all of them would suit a commercial project. The fact they're all owned by the site's founder, mostly don't portray recognizable people, and are offered under a custom license makes them very safe to use as well! 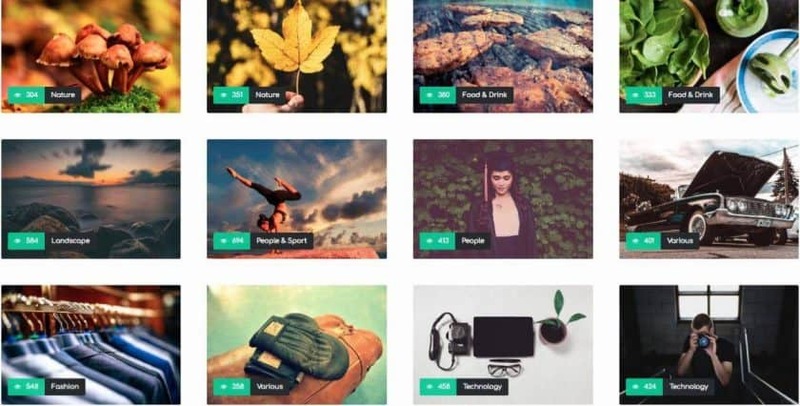 StockSnap.io is a free stock image site by entrepreneurs Christopher Gimmer and Marc Chouinard, also developers of graphic design tool Snappa. 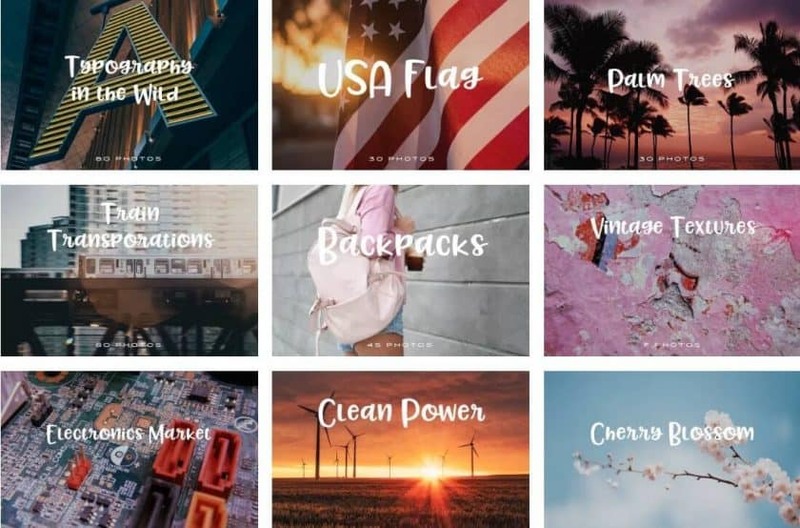 In StockSnap io they give away tens of thousands of high-resolution images covering various popular subjects in an authentic, modern and very trendy style. The library is built on the base of user submissions, and all photos are free. Commercial photographer Igor Ovsyannykov owns Fancy Crave, a website where he offers his and other professional photographers‘ images free to download and use. This catalogue has thousands of files all tightly curated and arranged in themed packs, with a strong focus in travel photography and in general a very modern style and professional appeal. The site also upsells premium packs. Given the site owner is a commercial photographer we know he knows his business, and his own images are available, factors that add an important dose of reliability. But it's still a CC0-based offer, and user submissions are included albeit coming from photographers. It's a very cool site, just need to be careful with the license coverage. If you look for websites with collections of free stock high-res photos about popular subjects, you need to know ISO Republic. Founded in 2014 by photographer Tom Eversley, this site is currently run by a small team and provides thousands of good quality images to download and use, free of charge. Epicantus is a Tumblr site created in 2014 by business strategist Daria Nepriakhina, where she offers a couple thousands of her own photographs, on various subjects and following an artsy vibe. All photos are free to use in your creative work. This is the site where you'll find that different, crafty photo nobody else has. Licensing wise it's also safe not only because the copyright owner is the one giving the images away, but also because high-risk images like those depicting people show them in an unrecognizable way, remarking the legal safety. 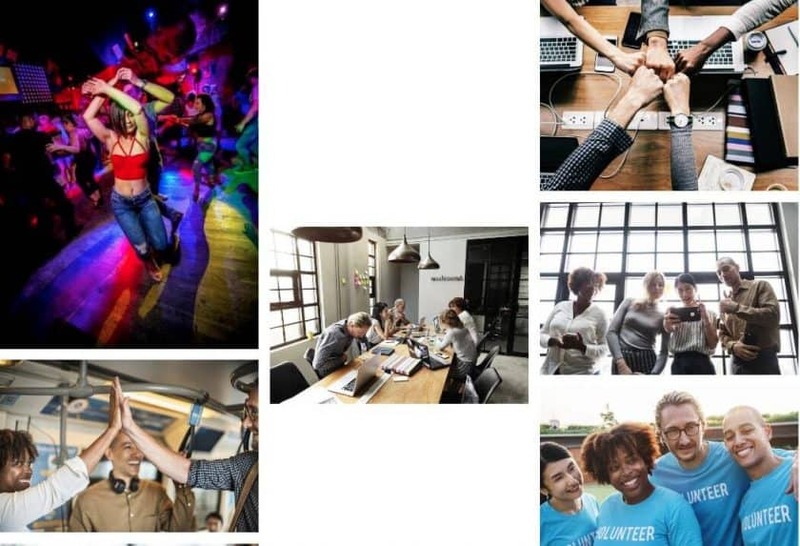 Startup Stock Photos is a free stock photo site offering as the name gives away, high-quality photos focused on the subjects of startups, small businesses and entrepreneur community, all with an authentic style that shows diversity and realness. It's owned by social media marketing agency Sculpt and most of the images –which are free to use– are produced by three artists involved in the website and agency. Images on this site are super useful for today's visual needs and also very trendy. The license used isn't the safest, but with most of the images being produced in-house it's a lot safer than you would think. 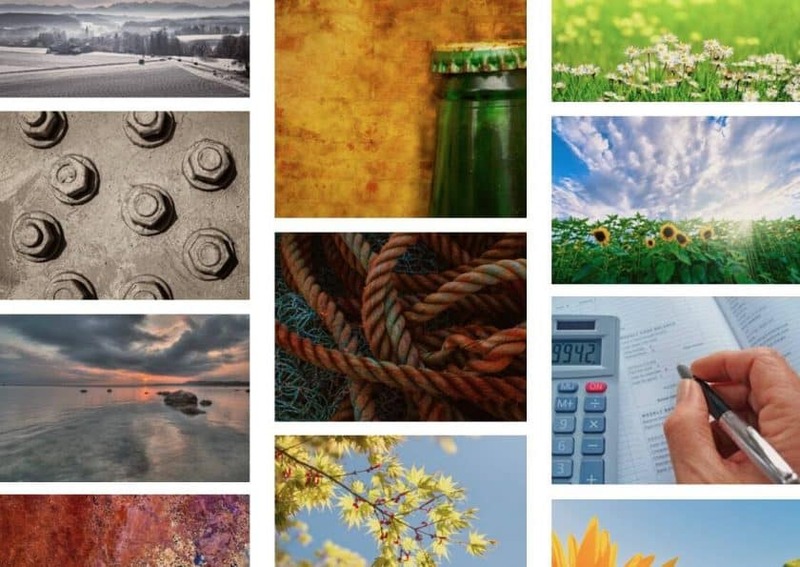 Created by designer and photographer Jeffrey Betts, MMT Stock displays thousands of his own royalty free photographs made available for free download and use in creative projects, including commercial ones. Topics like nature and workspaces are predominant, and there's a notable absence of photos of people, though the curation level is excellent. No lifestyle images is a down, but truth be told MMT has lots of high-resolution images that are ideal for commercial-intended designs. Even more, the CC0 license adds a veil of safety given all images are owned by the man who gives them away on his own site. So why not to benefit from them? 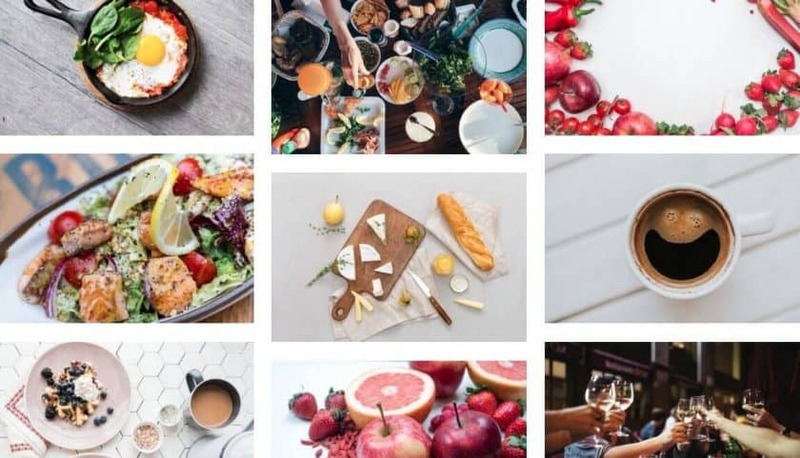 FoodiesFeed is, as its name hints, a free stock photo site offering photos of food. Over a thousand of them. 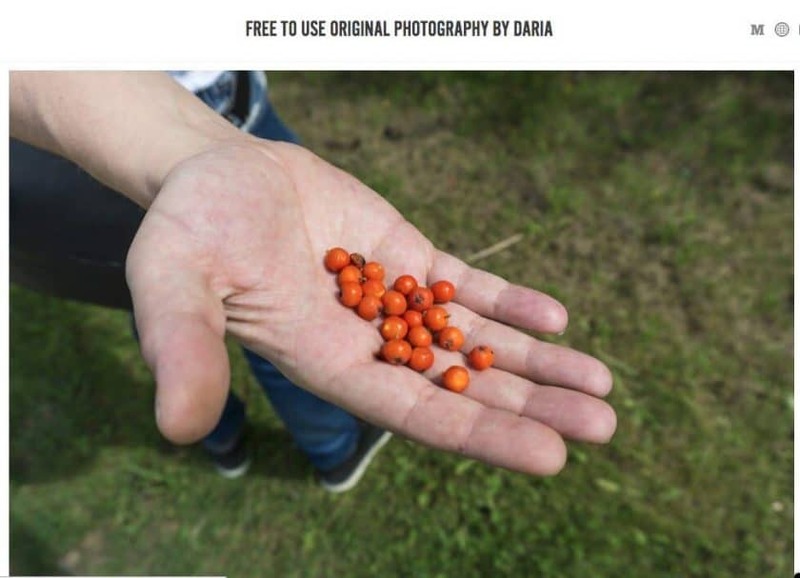 This is the work of food photographer Jakub Kapusnak, and the online library includes images of his authorship as well as user-submitted content, all for free. The photos are high resolution, super current and varied within the topic. It's great to have a free source for food images! FoodiesFeed is perfect for food bloggers, social media posts, businesses and anyone needing trendy food photos for free. The licensing model isn't the best, and of course, the site owner's images are safer than the rest. But given there's no people or brands in any image, the risk is reduced and the benefits are large. Freerange is a free stock photo site providing a large library with thousands of images available to download and use for free. Some of these photos are produced in-house, and some are submitted by users. The selection spans a lot of current and sought-after topics. This is a good, decent offer in free stock photos. Their in-house produced images are of course much safer. But the fact they have user submitted images under CC0 license, many of them of recognizable people, and they don't disclose much about who's behind the site, means it's mandatory to double and triple check all rights before using their images. A free photo site with a big collection of over 110,000 images on the most varied topics. That's StockVault. Crowdsourcing photos from users around the globe, they offer this large library for free download and use for any creative purpose. License Details: contributing users select one of three available licenses. 1. Commercial license (free usage for commercial purposes). 2. Non-commercial license (free for personal and editorial use only). 3. Creative Commons Zero (CC0) – free usage for commercial purposes. Big free photo libraries are great because you have most of what you'll need in one place. But in the case of StockVault, there's not a lot of info about who runs the site. So when you factor it's all user-submitted content, there are different license types, and they only review technically but not for legal status, the result is you need to be careful when you use these images in commercial projects. Styled Stock is a small collection of free photos with a defined feminine style. With just a little over 100 images, most of them are flat lays and desktop shots with a very modern, clean and minimalist concept. It's not very clear who runs the site or who owns the photos, but it is clear they are free to download and use in commercial projects. A selection of free photos as specific as this can be very helpful when it's exactly what you're looking for. for that we love it. But the fact there's virtually no information of who is licensing these photos and who owns the copyright, they aren't very safe for commercial use, at least not at first glance: you will need to check them with due diligence before using them. Product designer Cole Townsend created New Old Stock on Tumblr a few years ago to offer his curation of great vintage and historic photography. Right now he has around 1500 files available for free, that he handpicks and aggregates from Flickr Commons listed institutions such as various museums around the world, NASA, etc. All these photos are free to download and use. The public archives available online are huge, so there's a lot of value in a selection of images curated by a knowledgeable person. No known copyright and historical means the photos are a lot safer to use commercially. However, the inconvenience in the variable licensing options and the fact these are all coming from existing archives washes some of that value. Founded by a group of enthusiast photographers, Skitterphoto is a website that offers free stock photos of high quality on a plethora of styles and subjects. Sourced from the site founders as well as user submissions –which are guided on copyright and other rights needing clearance, and reviewed for technical quality–, these thousands of files are ready to be downloaded for free. It's clear Skitterphoto has valuable images, made with love for the art of photography. But legally-wise there are some concerns. Naturally, site owners' photos are safer to use, but identifying them is difficult. User submissions, albeit warned on legal matters, are only reviewed for quality, leaving you to check and confirm their legal status before using them in commercial work. NegativeSpace is a simple website with lots of free stock images of various topics and styles. These photos are gathered from contributors after a process of portfolio submission and image review and are of very good quality for professional use. Speaking solely about photography NegativeSpace is very good, you're likely to find valuable shots for your designs. But legally-wise, for commercial work, they aren't the safest of choices. They work with CC0 license and user submitted images, and we don't really know much about them as to rest assured, so you must do a background check for photos yourself. In terms of safety for commercial use, nothing compares to Royalty-free stock images. These photos have been carefully reviewed and verified for both quality and legality by knowledgeable staff at the professional stock photo agencies that sell them. But did you know you can access some of these uber safe, totally cool images for free? Some stock photo sites have freebies sections, some give away one or a few photos periodically, and some have free trial deals that include downloading files without paying. With any of these methods, you are able to get stock photos for commercial use that are as safe to use as free of charge! Here we collected quick guides to obtain free photos from some of the best stock photo sites on the web. Just click on the item you want to see how to get them! That was our titanic list of the best and safest free stock photo offers around the web. With different levels of legal safety, image quality and commercial value, each one of these sites have something to offer that you should consider. If you like paid options, you can check out our massive list of the Best Stock Photo Sites with 20 options in stock photo agencies! Be it a library covering an array of evergreen themes and trends, or specific collections around a subject or purpose, you are certain to find the right option for you to download awesome free stock photos that you can use in commercial work safely. Which ones are you trying first? Do you know a site we haven't listed? Drop us a comment and we'll review it!